Three Tips for Zero Stress - FirstMed - Your Health Comes First! Christmas. The most magical time of year or the most stressful time of year? Some days it feels like the latter. There seems to be more people on the roads and in the shops, the queues are longer, there are work and Christmas parties to attend or plan, and last-minute gifts to buy, all on top of our already busy lives. Stress is not good for us at the best of times, and with all the extra tasks that come along at this time it can get pretty crazy out there. Here are my three tips to help you reel in the stress this Christmas and feel happy, healthy and calm come December 25th. One of the first things that can start a chain reaction of stress in our lives is when we start to feel like we are slipping, or losing our grip, on our everyday routine. It is our daily routines that help us to feel like we are accomplishing things, moving forward and staying on track with our health and life goals. At any time of the year we can always feel swamped by life, don’t have time to work out, walk the dog or go to our favorite yoga class. With all the extra things we have going on right now, it can make keeping our commitment to our good habits that much harder. Therefore it is really important for us to plan ahead. How: If you already have a regular workout routine, try your best to stick to that. It works for you, you feel good when you do it, you have more energy and it helps you keep your stress levels intact. Block time in your calendar like you would a work meeting or personal commitment, and then treat your exercise appointment with the same commitment you would those other types of meetings. Your health and low stress levels are just as important and are vital at this time of year. If you don’t have a regular work-out routine but still want to make a healthy commitment this Christmas, then planning will be your best friend. Also recruit a friend to work out with you and help keep you accountable. Make the commitment to each other to meet at a certain time and day and hold each other accountable. Also, keep it short. Twenty minutes a day is better than zero and it all counts. 2) Manage expectations, be grateful and let it go. While we would love for Christmas to be the picture-perfect day that goes off without a hitch, the reality is that sometimes we burn the turkey, Aunty Sandra is drunk before lunch, the kids fight, Grandma hates her gift and we eat way too much! With lots of other people around with their own set of expectations, it is highly likely that someone is not going to be happy. Let go this Christmas and remember that there is no such thing as perfect. How: Life is lived, and enjoyed, in the moments between our expectations, so simply be in the moment and find gratitude for all that is going on around you. Find the beauty in the chaos, the madness or the serene. Whatever your reality is. Be grateful for having family with you, for the food you have on the table, for being able to give gifts, for any of the magical moments of calm that you can find in the day. The level of stress we allow ourselves to experience is totally up to us. 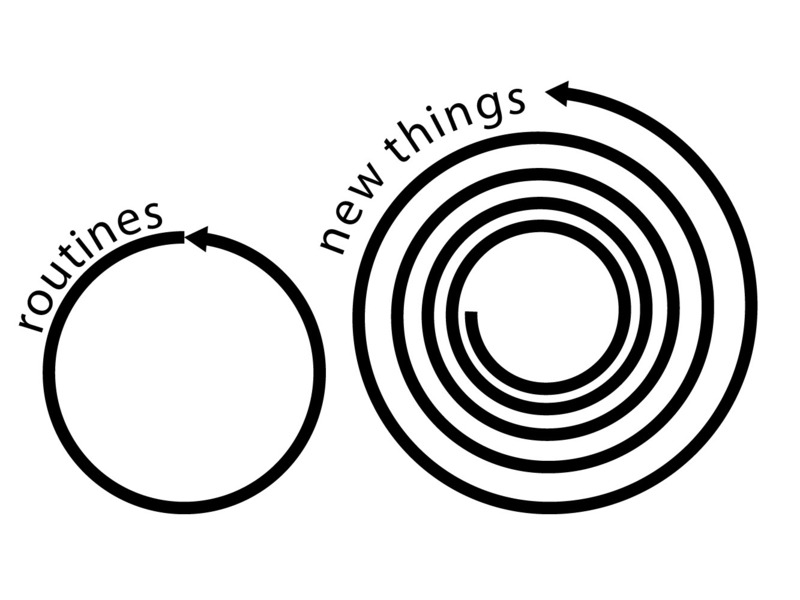 If you feel yourself starting to slip because of something that is going on, ask yourself this simple question: “Is this going to matter to me in five years time?” Nine times out of 10, it won’t. Take a deep breath and let it go. Then find something in that moment to be grateful for. There is always something, you just need to look. One of the most powerful tools to have in your stress-busting arsenal is the word ‘no’. It is very honorable of us to want to please people and make everyone happy, but there is only so much we can do before it all becomes too much and we end up feeling tired and burnt out. If we run ourselves into the ground we are going to crave sugar, feel cranky and not enjoy the holiday season. 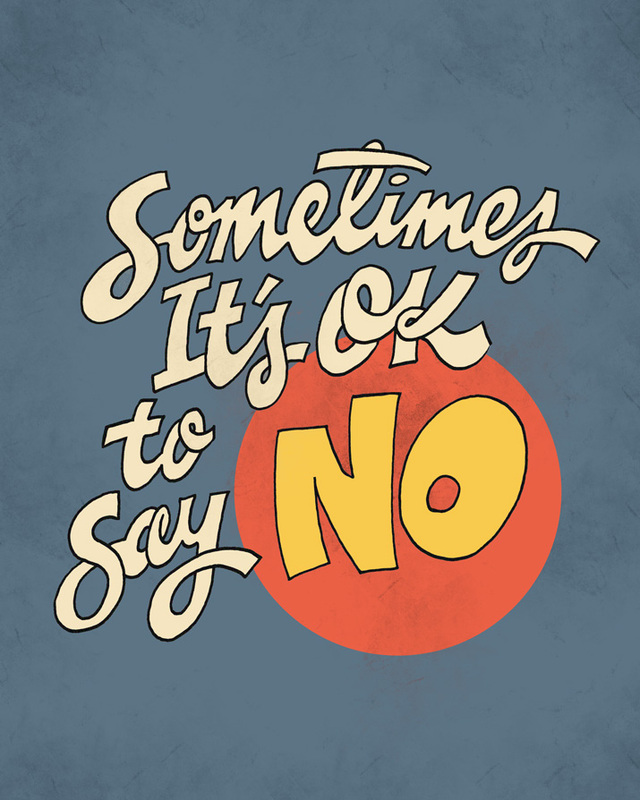 Learning to get comfortable with saying ‘no’ is a crucial life tool and, when used, allows us to actually say ‘yes’ to things that are either more important or the things we really want. By saying ‘no’ to the Christmas party being held by one of your clients, you are saying ‘yes’ to spending a nice evening at home with your spouse, getting in some Christmas shopping or having time for a yoga class. We can also turn it around and see that by saying ‘yes’ to taking time out for ourselves, we are saying ‘no’ to feeling tired, overbooked, stressed out, and like there is too much to do and not enough time. The choice is always yours. Think about what is truly important to you and make it a priority. How: It’s ok to say ‘no’ to Christmas party invitations, to over-committing, to working extra hours, to food you don’t want to eat, to having another drink, to having discussions with people that drag you down, to fighting with family members. Start to exercise your ‘no’ muscle this Christmas. Check in with your life and see where you can cut back on meetings, Christmas parties, kids school events, etc. If you are struggling to do this, you can use the question from above and ask yourself: “Is saying ‘no’ to this Christmas party/work event/kids party really going to matter in five years time?” No, it probably isn’t! Say ‘no’ to the invite and say ‘yes’ to yourself. On Christmas Day, if you find yourself in a situation or conversation that is bringing on that all-too-familiar feeling of warm skin, rising heart rate and tight chest that precedes stress, then ask yourself do I really need to stay here and be in this situation? Can I walk away? Then, politely excuse yourself from the conversation and give yourself some space. Be grateful and let it go. I hope you find these tips helpful this Christmas. If you would like more ideas and tools to help you feel happy, healthy and sane, then head to my website and grab your FREE copy of my Ultimate Holiday Survival Guide. It’s filled with recipes, stress-busting workouts, meditations and more to help you enjoy the festive season and feel amazing come the New Year. Kate Megee is a Certified Health Coach with a degree in Medical Imaging and is a competitive athlete with years of experience in the health and fitness industry. Through the Institute for Integrative Nutrition in New York, Kate studied 100’s of different dietary theories to help you make the healthiest choices for your body and to teach you about the healing power of whole foods. Her philosophy is ‘Eat. Move. Heal. Thrive’. Kate motivates, inspires and supports her clients every step of the way while keeping them accountable to their goals and progress. She firmly believes in learning how to create a healthy life and teaches her clients how to live an 80/20 lifestyle so that they develop healthy new habits that last, while still getting the most out of life.